At the end of last year we wrote a roundup of gaming; the major players and the ever-changing nature of the industry. Key areas were instantly noticeable, from the huge surge in revenue for mobile gaming and the increased strength of the PC. Indeed, gaming as a whole has grown and the expectations are there for further growth. Of course there are areas within the industry that are suffering. The move from physical to digital has been a constant struggle for retailers, one that is seemingly still proving to be a major concern. This has hit some areas more than others. The Independent Games Developers Association (TIGA) is the leading trade association of developers and publishers across the UK and Europe. In this role they have a fair grasp on the direction of the industry and the key word indicated by a recent survey is growth. Of the fifty companies surveyed, ranging from small to large, only 6% indicated a poor year in 2016 with 72% indicating a good year. As for 2017, the outcome for each question indicates a bullish attitude towards the future of the industry within the UK. 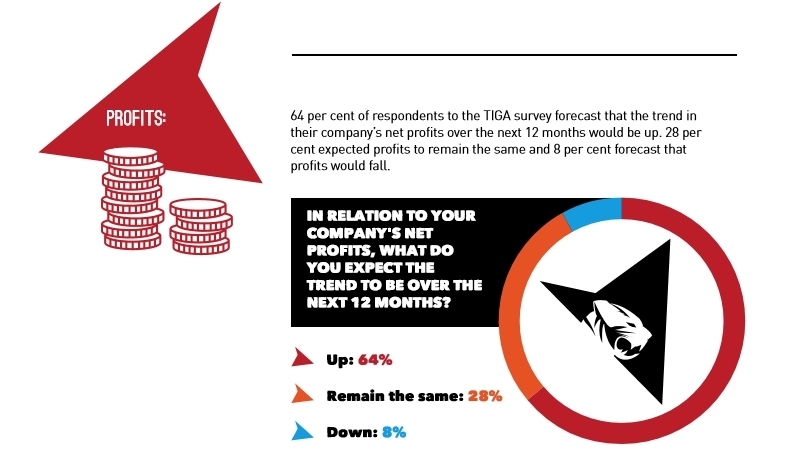 Key points of note are on investment in the industry, of which 50% are more optimistic than last year, 30% unchanged leaving only a fifth who are negative, and on profits where 64% are forecasting a rise in net profits over the coming year. One of the detracting aspects of the report was a question on what the companies believed was holding them back. The three largest areas were limited access to finance, indicated by 34%. Discoverability was joint top with the same level as finance. Finally 16% indicated a shortage and gap in the skills required. This gap could feasibly get larger within the future based primarily on the outcome of Brexit talks, should freedom of movement and the right to work across the bloc be removed. Of course, it’s much too early to tell what the outcome of that will be, but there is little doubt that the UK education system isn’t meeting the needs of the Gaming and Tech industries. Dr Richard Wilson, TIGA CEO, indicated in his statement that the forecast is for growth in 2017. Increased investment and employment is planned across all areas, with growth driven by three factors. The core source is from the growth in the consumer market for games. Mobile and Tablet devices are spreading, combined with the new console generation, VR and Augmented Reality and the growth in the PC market is leading to an boost in investment. Finally, for the UK, is Video Games Tax Relief which is reducing the risk and cost of development, while promoting investment. With an expected £331 million in investment between 2016 and 2020, it is predicted to create around 2800 new development jobs. Of course this has a strong potential for companies with a large UK base. Take-Two Interactive (NASDAQ:TTWO, the parent company of Rockstar Games (Grand Theft Auto) has five offices in the UK which includes the headquarters of Rockstar Games. All of the major companies have studios within the UK and can benefit from the growth and tax relief. However, the likely larger beneficiaries are smaller and UK based companies like Team17 (Worms) and Frontier Developments (Planet Coaster, LON:FDEV), amongst others that have both grown and expansion, indicating rude health. 2012 was the year that Game, the largest high-street Video Game retailer in Europe, went into administration. After being purchased by opCapita the company announced two years later that it was floating yet again as a leaner, more focused and profitable entity. For a short while, it succeeded. The previous year hasn’t been good for Game Digital PLC (LON:GMD), it being on a near constant downward trend, 2016 also ended with a staggering 77.1% reduction in operating profit on the previous year. Problems in retail are no secret and increased competition from the digital sector is a notable issue. Staying in the UK, a press release from the Entertainment Retailers Association (ERA) revealed that sales of physical games had reduced by 16.4%, further compounding the issues is that this figure is after a 21.3% increase in physical handheld games was included, indicating a large fall for home console and PC boxed sales. Diversification into sales of digital goods, as well as moving into complementary markets will be the long term goal. This is something Game are aiming for, with the purchases of Multiplay, an e-sports platform, and Ads Reality, a software business focusing on Augmented Reality. Gamestop(NYSE:GME) is the closest equivalent in the United States and even they have suffered from the same problems. Although no fourth quarter or report for the year has been released first, second and third quarter reports all indicated a fall in physical hardware and software sales, though increases in digital, collectible and technology revenue offset that to an extent. Woes in retail, particularly the sale of physical games, has also been indicated in the east. This is particularly the case with Japan. A recent article by MCV sources figures by Famitsu, indicating that physical hardware and software revenue has dropped to ¥299.48bn, following 2015’s ¥320.97bn. Again, sourcing Famitsu, a post on NeoGAF highlights that this is potentially the lowest for physical sales since 1987 and the 10th straight year that revenue has fallen. This is in stark contrast to the rise of mobile games and PC games, as indicated in my end of year post. The mobile industry as a whole is booming and expectations are for further growth. This growth will benefit the largest publishers in the sector, particularly that of NetEase(NASDAQ:NTES) and Tencent (HKG:0700), who are both free to operate in China, the largest mobile gaming market in the world. Tencent also furthered their ambitions by purchasing 84.3% of SuperCell, developers of the highly popular and profitable Clash of Clans and Clash Royale, for $8.6bn. Other large companies that will invariably benefit from the growth of mobile gaming are Activision-Blizzard (NASDAQ:ATVI), the owners of Candy Crush developers KING, as well as Bandai Namco (TYO:7832) who in their 2016 annual report indicated that network content (Mobile and PC sales) hit ¥103.9bn, overtaking home console sales of ¥95.7bn. Of course the inclusion of the PC can’t be made without mentioning the behemoth of digital PC sales, Valve. Steam, their all-in-one platform for sales and delivery of games has also expanded into film, music and hardware (Steam controller and Steam Link). They have also been a part of the push towards VR by working with HTC on the Vive. What is particularly surprising with Valve is that the use of Steam and sales on the platform have grown exponentially, bar sales in 2016. Over the past 8 years the service has seen a year-on-year rise in users from 1.4 million to todays 14.3 million. Analytics site Steam Spy has indicated flat growth for the digital storefront in 2016, it generating an estimated $3.5bn in revenue. Worth noting is these figures are not completely accurate, nor does the site claim them to be. However, there seems to be a decent level of correlation between those figures and Valve’s own list of the top 100 games by revenue. Of course Valve are able to be more accurate due to their ability to differentiate between activations from an off-site game-key, as well as include free-to-play game revenue. What is undeniable is the sheer overwhelming number of games that have found their way onto the storefront, an excess of 5,000 finding their way on in 2016 alone. The abundance of poor releases, re-releases of older titles and barely-functioning rubbish has caused an issue: discoverability, much like the obstacle indicated to TIGA at the head of this post. Each day finds a host of new releases on Steam. As someone who visits the storefront on a near daily basis, even I’m at the stage where finding new releases, promising ones, has become a near monumental task, making it difficult for smaller publishers and developers who rely on front-page publicity to be noticed. In the PC digital sector, Valve is likely to come under increased pressure from alternative platforms. The closest competition for now comes from Good Old Games, owned by CD Projekt (WSE:CDR), which has diversified into more modern games after starting as a means of playing older, previously unsupported, games. In addition, they have engendered strong support through consumer favourable actions like offering games without digital rights management (DRM) as well as a money-back guarantee within 30 days of purchase should a game run into any technical issues that can’t be fixed. Electronic Arts (NASDAQ:EA) and Ubisoft (EPA:UBI) also act as competition with their own first party platforms, Origin and uPlay respectively. The former also keeps their titles exclusive to Origin on the PC and has done since 2013. Activision Blizzard (NASDAQ:ATVI) sells Blizzard developed titles exclusively on Battle.net. Additional competition for revenue comes from digital key sellers such as Green Man Gaming, which offers keys that can then be activated on Steam. The perceived lack of quality control from Valve recently offers a strong opportunity for rivals to make a grab for market share. With retail, enhancements to their digital storefronts will be essential. Game and Gamestop are the largest brick and mortar video game retailers in the world and both are highlighting the downturn of boxed sales. Further to this, increased competition from online retailers which often sell at a lower price makes it increasingly difficult. Expansion into other areas, which both companies are now pushing, will be the defining area of 2017. 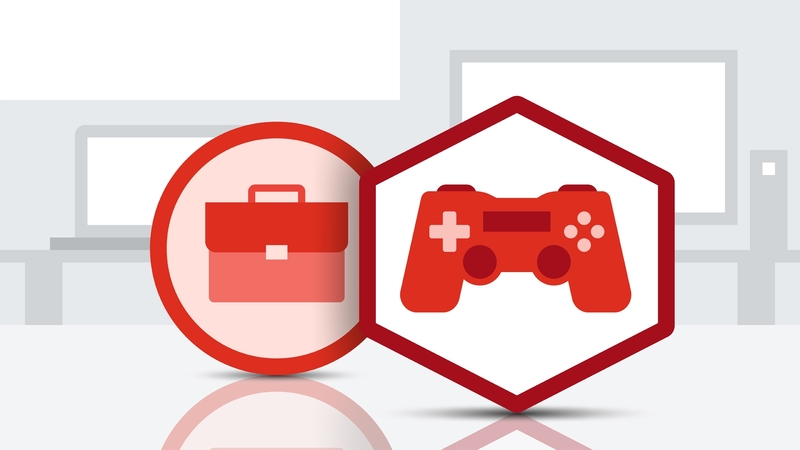 Increasing sales of complementary products is already proving strong and Gamestop published their first ever game in 2016 while Game’s subsidiary Multiplay runs the UK’s largest gaming events as well as a successful online games server provider. 2016 was and 2017 is looking to be a strange and tumultuous year for gaming. Certainly, for companies within the UK things are looking good. Further growth is expected, as well as strong investment for the future. The same may not stand for the gaming-centric retail sector, which worldwide is suffering from lowering physical sales. Countering this is a boom in digital sales. Increased competition in this area is likely, as Electronic Arts, Ubisoft, Activision Blizzard and CD Projekt look to increase market share. It makes for a compelling watch and offers a lot of opportunity for a number of companies to make moves, diversify and expand, the question is: who will take the opportunities offered to them?